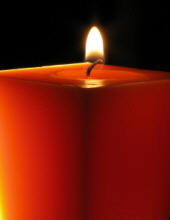 Gloria J. Cole, 88, of Davenport passed away peacefully November 11, 2018 at Clarissa C. Cook Hospice, Bettendorf. Per her wishes cremation rites have been accorded, Quad Cities Cremation Center is assisting the family with arrangements. Gloria was born May 12, 1930 in Davenport, IA the daughter of William and Minnie Arp Kolbig. She married Walter Cole who passed away in 1999. Gloria was known for her faith and kindness to others. She loved to walk, read novels and do needlepoint. Gloria was generous to all and showed great compassion to those in need. She touched many lives and will live on in the hearts of those who knew her. Gloria is survived by her children Michael (Pamela) Cole and Marcia Pennington; six grandchildren; eleven great grandchildren and a niece Faye Kennedy. Gloria was preceded in death by her parents, husband, and one sister Marie. To plant a tree in memory of Gloria J Cole, please visit our Tribute Store. "Email Address" would like to share the life celebration of Gloria J Cole. Click on the "link" to go to share a favorite memory or leave a condolence message for the family.